The author was born in Laramie, Wyoming, one of seven children. Her parents had emigrated from Norway in 1905. This book is the story of her childhood in a small farming community, a story filled with vivid portraits of colorful characters—both human and animal. Spring Canyon is a warm tale of a time of rich harvests and cruel reapings, of plenty and of want, and of many dear lives remembered and immortalized in this book. 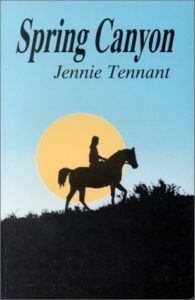 Note: Spring Canyon, in both original manuscript and printed book form, is in the Jennie Williams Tennant Collection at the American Heritage Center, University of Wyoming, Laramie WY.